PaleoJudaica.com: Oldest Aramaic incantation found? ARAMAIC WATCH: Ancient Aramaic Incantation Describes 'Devourer' that Brings 'Fire' to Victims (Owen Jarus, Live Science). A 2,800-year-old incantation, written in Aramaic, describes the capture of a creature called the "devourer" said to be able to produce "fire." Zincirli is a very interesting site that has produced some important Iron-Age Aramaic inscriptions. Another, the Katumuwa (Kuttumuwa) funerary inscription, was discovered there in 2008. Others are noted here. Most surviving Aramaic incantations are much later. The best-known ones are the Babylonian Aramaic incantation bowls, on which more here, here, here, here, and here and many links. 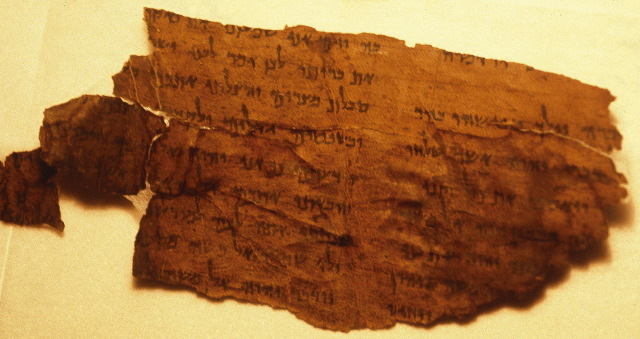 The Cairo Geniza has also produced many Hebrew and Aramaic incantations. Over the years I have noted some others here, here, and here (the last is written in Greek letters). There's at least one (4Q560) among the Dead Sea Scrolls. The oldest Aramaic incantation I know of after this new one from Zincirli is the so-called Uruk Incantation (4th century B.C.E. ), which has Aramaic written in Babylonian cuneiform script. Is Jerusalem's Tomb of the Kings a holy site? Happy 50th to the IOSCS! Translation algorithms are coming for Sumerian! The Babylonian Exile before the Exile? The Ark of the Covenant isn't in Ethiopia?